taken just after a Shamanic Journey. When time lines converge and planets align ancient ceremonies open the portals between dimensional planes. Spirits ride the winds. Instructions were recorded by Shamans on stone walls and inside caves where these vast troves of pictorial art illustrate Shamanic Journeys. Stories of meetings with the Ancient Teachers of Mankind in eons past lay silent awaiting the ones who can hear once again. When the stars are in position and the ceremonies are performed with intention vast knowledge can be accessed by touching the glyphs in a specific configuration. Encoded interactive holograms appear. The Changing of the Worlds awaits us. For tens of thousands of years, time out of mind, our ancestors have accessed the quantum matrix through Shamanic Journeys and recorded their experiences on rock art. Shamans have journeyed into alternate realities to bring back knowledge which guaranteed the survival of the tribe. Power to connect with and influence weather patterns, predict where the buffalo would roam, heal the sick, and speak with the animals was common among Indigenous Shamans. Shamans have retrieved soul fragments and integrated them back into the human body resulting in the healing of disease. They have journeyed forward and backward in time to foretell the future or regain knowledge lost in the past. During shamanic journeys other realities become visible and interactive. Many of these other dimensional realities inter-penetrate our own. Effects in this reality have causes in other realities. In the first stages of a journey many shamans report seeing various abstract geometric patterns known as entopic phenomena . Similar geometric patterns are found in petroglyphs in Africa, America, Australia, Europe and China. Many shamans also report repeated encounters with therianthropic beings which are part animal and part human. Petroglyphs and pictographs dated from 35,000 years ago painted in caves in Europe depict therianthropes and their interactions with humans. Contemplating group journey experiences described in the book, Wizard of the Upper Amazon, I was intrigued with the concept of common visions shared by an entire tribe of Indigenous people. Psychoactive plant substances are used to alter brain chemistry, particularly high levels of DMT which stimulate the pineal gland. These active agents are used to induce and sustain the group visions described in the literature. The more intense the emotions surrounding the purpose of the journey the more vivid and real the visions became. Many of us experienced the exact same vision at the same moment in real time. A very close simulation to what we experience is depicted in the movie Inception. I watched it four times in a row at the theater and then bought the DVD the day it went public. Inception fascinated me because it depicts levels of consciousness and dream architecture that are very similar to group shamanic journeys. We interact with each other and see what each other does in an alternate state of consciousness in a past or future time. When we return to our bodies in this consensus dimension we compare our experiences and they are the same. The most asstounding thing is how these experiences affect real life events of children in the here and now. The inception on new time lines creates a different outcome in consensus 3D reality. Intention drives the Shamanic experience. We utilize the Shamanic Journey experience for healing the soul and body and to bring back knowledge for the benefit of the human tribe. Bringing the knowledge and feelings from the journey back across the membrane from the Aluna into three dimensional consensus reality is the real challenge. Interpreting this multi-sensorium experience into language is even more challenging. While journeying there is a collateral awareness of both realities: one in three-dimension reality and one in the shamanic reality of the Aluna. Both are valid. Material objects representing the core root event that set in motion a specific timeline of events in our personal lives often manifest in solid reality. After a very powerful healing dealing with core root events in childhood that have shaped our present lives, my husband Bill asked each person in the room the question, "What was the most significant toy you played with as a child?" One man answered "Etch-a-sketch". Bill produced an Etch-a-sketch from the hallway closet and handed it to this man. The next man responded "those little plastic Cowboys and Indians". Bill handed him a circa 1950 reproduction set of Cowboys and Indians. Viet Nam Vet to build a symbolic home. The Vet's wife called a year later to report that his drug addiction was healed, his body was healed and he had literally come home to his family. When Bill was asked where these objects came from he simply replied, "The Magical Closet". Shaman cave and artifacts dated to 9,000 years ago discovered in Poland. Soul shattering core root events fragment the integrity of a Being. A portion of the soul stuff splits off and becomes inaccessible. Vast amounts of emotional energy are dispersed in an attempt to protect the remnants left behind in an empty shell. Eyes become lusterless as the aura dims to a murky shade of muck. Addictions exacerbate in unsuccessful attempts to fill a deep hole in the soul. The life force diminishes. From that moment forward life is irrevocably changed in a fundamental way. Instinct takes over and rallies the fragmented pieces of the mind into survival mode. Unconscious longing for the disassociated and inaccessible pieces of the soul is often projected onto others through a series of dysfunctional relationships. Feelings regarding the core event transform into shadow obsessions which replay over and over in the mind creating and recreating unsuccessful attempts to orchestrate a different outcome. Packets of residual energy forms are left at the scene of the core root event. These packets solidify into a loosely connected energy chain along a linear timeline of events which are engendered by the original trauma. The fragmented Being finds others with similar stored energy packets that resonate at the same frequency to re-create the drama over and over seeking resolution. Core events are re-enacted in various scenarios ranging from manic high to deep depression low. Cycles repeat. Playing out chosen roles as the victim, the savior or the perpetrator we create for each other dramas and traumas which reenact the same theme. Vicarious role playing is always available on reality TV or video games if real life actors are not accessible. The unconscious driving force is to re-establish harmony between the soul, the mind and the body -- to be whole again. Shamans have the ability to intercede on behalf of the fragmented Being. Setting the stage is specific to each ancient tradition and to each Shaman. Traditionally a ceremony is performed which facilitates interaction between the Shamans and the Spirit World (the Aluna). Ceremonies include specific harmonic rhythms such as a drum or rattle played at the exact beat to induce a trance state. Many traditions feature trance dancing in which the Shamans dance until the physical body falls down and a vision is induced. The Native American Sundance follows this tradition. Olfactory stimulants such as burning incense, sage and sweet grass or the infusion of lavender or rose essence create an environment conducive to journeying in the Aluna. 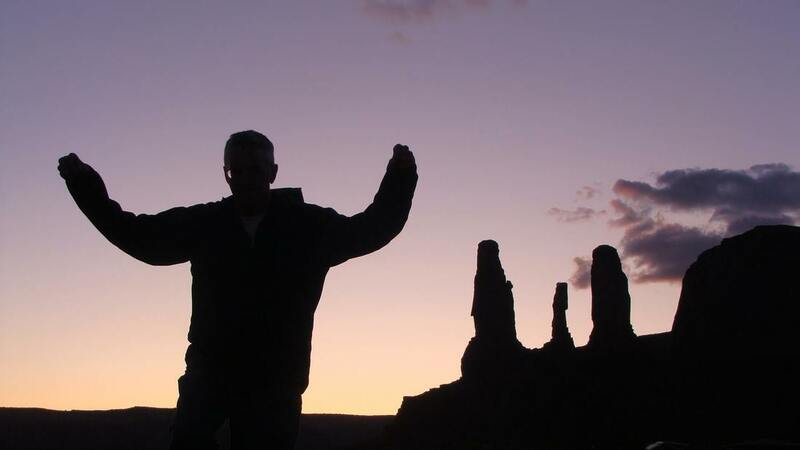 A successful Shamanic Journey requires vast amounts of focused energy. The Shaman's connection with their own Spirit Guides provides protection and access to unlimited energy from the Source. Spirit Guides are inter-dimensional entities who have an interest in assisting humans on Earth Plane. These entities can take any form required by the belief system of the humans involved. Connection with Animal Spirits, Arch Angels, Extra-Terrestrials, Fairies, Ascended Masters or the Ancestors are cultivated over years of following the Spirit Path..the Red Road.. the Wyrd Way..the Tao. During a journey the consciousness of the Shamans travels in their spirit body while the physical body remains on Earth Plane in a trance state. In their spirit body the Shamans journey in the Aluna to the location of the core root event. The Aluna is an alternate dimension of time/space where everything that has occurred, as well as all possible futures that have not yet manifested in three-dimensional reality on Earth Plane co-exist simultaneously. Time contracts and expands within the Aluna. Navigation is based on the recognition of vibratory frequency codes in past, present and future time-space continuums. After locating the Being by tuning into residual energy packets, the core root event plays out exactly like the original past event occurred on the consensus time line of Earth Plane. The Shamans view this scene from multiple perspectives - from above as if viewing a hologram - from within as if looking through the eyes of the Being - from a multiple lifetime perspective of the soul's journey. In their spirit bodies the Shamans observe and if necessary intervene to alter the event on behalf of the Being. Traditional Shamanic protocol enables the Shamans to bargain for the soul pieces. If successful, the Shamans returns to Earth Plane with the soul parts and inserts them into the physical body. The original blueprint of the physical body activates the genetic codes to reconfigure and heal the mutation originated by the timeline juncture at the core root event. More parts of the complete soul are now incarnated into physical form. Lights come on, the eyes shine, the body glows, sound and colors are turned back on Luminous energy returns which can be enhanced and utilized to heal others. An alternate time line branches off creating the possibility for a trans-formative earth life and the transmutation of the soul. The Being is now connected back to the Source of all that is. Trance Dance is commonly used among Indigenous people to transcend into an altered state of consciousness. Seeking a vision during the Sundance Ceremonies originated with the Sundancer beginning at sunset and dancing until he fell to the ground in a trance state. The Medicine Man would then place an herb mixture under his tongue and protect him while the vision ensued. When the vision was completed the Sundancer would rise to his feet to dance and share the vision he received with the entire tribe. Mystical teaching were considered heretical and were expunged or deleted from the canonized scripture known as the Bible. Several of these texts are finding their way into our current body of knowledge. One of the most famous Gnostic texts is the Acts of John which is an early 2nd-century Christian collection of narratives and traditions, known to exist in fragmentary form. ​John describes his mystical experiences with Jesus with these words:..."When I meant to touch him I encountered a material, solid body, but at other times again when I felt him, his substance was immaterial and incorporeal...as if it did not exit at all." John describes a ritual in the Garden of Gethsemane in which the followers are instructed to sing and "form a circle, holding one another's hands and himself stood in the middle. Jesus then began to intone a mystical chant. "To the Universe belong the dancer. He who does not dance does not know what happens. Now if you follow my dance, see yourself in ME who am speaking. You who dance, consider what I do... for yours is this passion..." The Bible states the the Apostles "fell asleep"...the Gnostics say they went into trance while chanting, dancing in a circle, and receiving group visions. John is hiding in a cave while Jesus is being crucified. Jesus visits John in an out of body experience..." my Lord standing in the midst of the cave and enlightening it, said: John, unto the multitude below in Jerusalem I am being crucified and pierced with lances and reeds, and gall and vinegar is given me to drink. But unto thee I speak, and what I speak hear thou. I put it into thy mind to come up into this mountain, that thou mightest hear those things which it behoveth a disciple to learn from his teacher and a man from his God." John then describes seeing visions in alternate dimensions..."therein was one form and one likeness: and in the cross another multitude, not having one form. 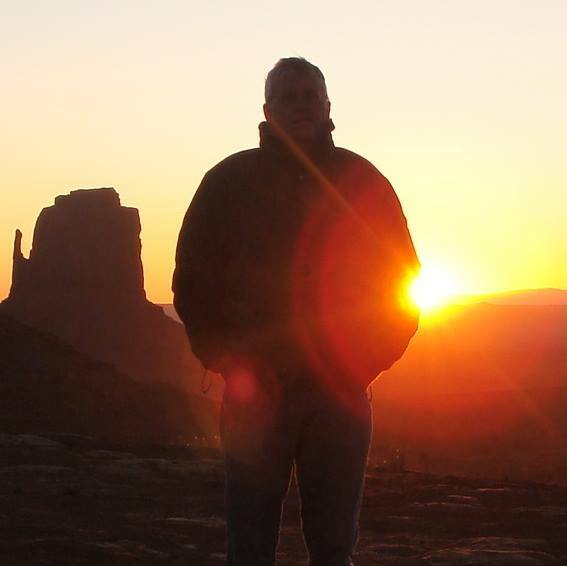 And the Lord himself I beheld above the cross, not having any shape, but only a voice"
Jordan Luebben: "When looking at a cave painting, geogliph, petroglyph, or megalith there are three major angles of the shaman. One: the the man has lifted above the surface of earth. Two: the shaman is looking upward at the stars, (can see beyond the Hubble telescope reach). Three: the shaman is looking within or at the energy or light sources that embody the subject... keep in mind shadow figures are, shadows of the figures. Blobs (often white or indent marks) below the shadow's feet is the actual figure. ​Imagine a baseball player on a sunny field at 6 pm. Your point of view is a hundred feet directly above him.. You can only see his round hat and maybe a oblong sliver of his shoulders, his shadow is clearly defined showing his silhouette. That silhouette is what we often see in a cave panting or rock art. Consider the people that made these arts were ancestors of countless generations of people who spent their lives as and around a shaman." Jordon Leubben speaks from experience as a powerful Shaman and an extraordinary artist. This Shaman's mask was found in the Sweetgrass Hills of Montana close to the Canadian border. The shell gorgets were carbon dated at about 500 years old. However the dark stained resin on the face was carbon dated at thousands of years earlier. The first time it happened like this. I received a phone call from a close friend, Marta. Her 18 year old son, Alex, had been in a motor vehicle accident outside Bozeman and had been transported by helicopter to Billings. The driver of the vehicle had not survived the accident. Alex had been intubated at the scene by a passerby who just happened to be an EMT. Six months later Alex had regained consciousness however the doctors told Marta that the cognitive damage was so pervasive that there was not much left to rehabilitate. Alex’s prognosis was grave. Marta was facing the reality of caring for a cognitively impaired, totally dependent son. Then I received a phone call from a Shaman Woman named Jo. Jo lived in Bozeman and had become friends with Marta. Jo had studied with Michael Harner. At the Harner workshops Jo had become involved with a group of 22 Shamans that met together three times a year to Journey. It was a closed group. These Shamans were meeting back East to drum and do a Shamanic Journey the next Sunday on behalf of Alex. Marta and Jo asked me to journey with them at the same time from our home in Helena. I agreed. We planned for Marta to be with Alex during the Shamanic Journey. At seven the following Sunday night I laid down on the floor of our living room and listened to the Michael Harner Shamanic Journey CD with earphones. The drum beat induced an out-of-body journey. In the journey I am in an hawk's body flying just above the highway from Helena to Bozeman. I hover and then land at the scene of the accident just outside of Bozeman that had occurred six months earlier in real time. Forming a spirit human-like body, I knelled next to Alex and began picking up pieces of blood and brain matter and placing them back inside his head. It took a long time to gather all the pieces. I searched and searched but could not find the last piece that belonged behind the right ear just under Alex’s skull. I was aware of a number of astral entities all around and above me sending energy and instructions as I worked. After what seemed like forever, I became aware that the drum beat through the earphones had changed signaling the "call back". I placed my spirit body hands on Alex’s chest and sent a bolt of energy into him. I was being called back to my physical body so I retraced my flight from Bozeman back to Helena via the highway below. Back in my physical body I became aware of the hard floor. I opened my eyes and checked the clock. I had been gone from my body for over three hours. Long time. The Shamanic Journey CD had recycled six times. I must have missed the first five callback beats. The journey had lasted for three hours in real time. Normally we journey for no more 30 minutes. Pulling off the earphones in sheer exhaustion I fell asleep flat out on the floor. The next morning Marta phoned to tell me that Alex was healed. Alex remembered every thing except his sixteen year. He had suddenly regained full use of his body and mind late Sunday night. A miracle had occurred. I laid down tobacco and burned sweet grass to thank the inter-dimensional entities and all involved and then I got ready for work. Early that Monday morning I was delivering medication to the home of a mental client. I knocked on the door. The client opened the door, stared at my hands and winked at me. Grinning he declared, "Julie, you have blood on your hands. I saw what you did last night. All I want to know is if I have an accident will you put me back together again like you did that other kid?" I was dumbfounded. Reverting to my psycho-babble training I asserted, "This is a boundary issue." The client grinned even wider and declared, "You know there are no boundaries." After he took his medications I returned to the office and read his entire chart. His mother was an LSD addict and according to his history he had received substantial doses of various DMT derivatives through the umbilical cord. His constellation of symptoms included hallucinations, psychotic episodes, responding to voices, and paranoia. Fascinated by this experience I continued to work in Mental Health for the next eleven years. My colleagues and I have witnessed mental clients perform telekinesis, remote viewing, telepathy, precognition, and other talents. However, frequently when anti-psychotic medications reach therapeutic levels the psychic phenomena decreases in an inverse relationship. At a Celebrating Women weekend at Boulder Hot Springs I finally met Jo in person. Jo described the experiences of the 22 Shamans. Jo said that after the journey her Shaman group described sending energy to a person on site who would channel that energy where it was needed. Marta was there to tell her part of the story. Together we offered gratitude for the prayers and the intense spiritual energy offered for Alex's healing. 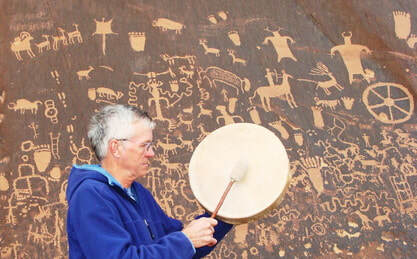 Bill conducts the Shamanic Journey with a steady drum beat at around 120 beats per minute. At this frequency brainwaves become coherent producing synchronous alpha waves. Bill issues the "call back" beat which signals the Shamans to return to their physical bodies. Waking from an intense dream I tumbled out of bed and informed Bill that there was a child out there that desperately needed the Shamans. I just knew it. It felt as if I were being pulled by a tractor beam as I drove across the dam to the far side of Canyon Ferry Lake. A trailer house with a garage sale sign in front beckoned me. After several attempts to engage the young blond woman in conversation about the various items for sale, the weather, or the state of the school system I gave up. Out of desperation I purchased something and then retreated to my car to reassess the situation. She was obviously very uncomfortable with my probing questions. She retreated into her trailer house. A cell phones conversation with Bill provided instantaneous reinforcement to my wavering confidence. I called for back-up. “Your intuitions have always been correct in the past so why do you doubt it now? Source has always led you on the right path. Trust yourself. Trust Source,” he reassured me. “How do you know that?” she countered. “Because I dreamed about him last night” I answered. “He is so violent that we keep him locked up. His doctor said that he will be placed in Shodair (the state children's mental hospital) next week when the insurance has cleared,” she said in a defensive voice. “Please bring him to me…I just want to talk to him.” I pleated gently. In a few moments the mother reappeared holding a six year old blond boy by both of his arms. The mother told me his name was TUCK. (This story is true in every detail except for the name of the boy and any identifying markers). TUCK, mother and I slowly moved in tandem to the front yard and sat down on the grass. I told mother about the Shamanic Journey Play-Shop that was scheduled at our house the next weekend. I told her that she could call a psychiatrist at Shodair if she doubted my word. This doctor had brought us a severally mentally ill three - year old a few months before. That convinced her. I drew a map to our house and invited her to bring TUCK there next Saturday afternoon. Twenty-two people were presents on Saturday when TUCK arrived with Mother and Step-dad holding on to him. TUCK was instantly enamored by a Northern Cheyenne Medicine Man dressed in full fringed leathers, feathers, and bead work. The Medicine Man invited TUCK to go outside to the TeePee with him. TUCK was honored with a medicine bag and his very own private ceremony in a TeePee. Meanwhile the Shamans raised the energy vortex with a Tensegrity exercise (See Carlos Castaneda's Tensegrity Volume 2 Video) Then the Shamans were instructed to draw any abnormalities in TUCK’s physical body. Fourteen people drew a fractured neck. X-rays confirmed that TUCK had fractured his neck at some time in the past and that abnormal bone growth had splinted the original injury. Three months past. I assisted TUCK and his mother to access the Western Medical Matrix. Finally it became evident that medical science had no solutions. TUCK had no conception of what normal felt like. He denied pain. It was obvious to me that the neck had been injured before TUCK developed language. Bill spoke with the Mother and made a proposal. Six Shamans would do a journey for TUCK at seven o’clock the next Sunday night. TUCK had experienced several dreams about the Medicine Man who had given him the precious medicine bag. He was elated. Bill called the Medicine Man who lived in Idaho. Arrangements were made that at seven on Sunday night this Medicine Man would go into his sweat lodge to drum and journey. Instructions were given that we were to meet in our spirit bodies in our TeePee which was in our backyard in Helena. We always give instructions to meet in our spirit bodies at a physical location in this reality that is familiar to everyone. When the drum starts we focus on the designated meeting place. The Shamans in Helena laid down on the carpet in our basement. Beside me was a trusted friend who was an EMT in his real life. Bill began with a slow drum beat that increased in speed until he maintained the fast Shamanic rhythm. I formed a spirit body and became aware that I was in the TeePee with the others. In our spirit bodies we watched as the Medicine Man journeyed back to the Sundance where he gave four flesh offerings off of his left arm in exchange for the lost spirit parts of TUCK. The scene in the vision changed to a vision within a vision. The Shamans were suddenly in a bedroom watching as a six -month-old little TUCK crawled across a blue bedspread with yellow ducks on it. TUCK fell off the side of the bed and landed on his head then flipped over on his back. In the vision we saw the Medicine Man at the Sundance. He gave four flesh offerings from his left arm in exchange for the healing of TUCK. The Medicine Man then entered the bedroom, knelt beside little TUCK and blew TUCK’s spirit into the back of his neck through an eagle whistle. My spirit body eyes watched as the EMT knelt down and held C-Spine straightening Tuck’s neck as I saw myself adjusting the vertebrae in TUCK’s neck with my fingers. In the vision we all looked up as we heard Mother scream. We saw Bill step into the scene to comfort the Mother. The Shamans looked at each other and nodded indicating that we were finished here as the “call back” sounded. The next moment, the Shamans in Helena opened our eyes and confirmed that we were all back in our bodies, safe and sound. We agreed that we had all witnesses the exact same or specific parts of the same vision. We had witnessed the Medicine Man's wife standing behind him in the Sweat lodge streaming energy with her hands to facilitate our journey. In other dimensions the "coin of the realm" is pure energy. We went upstairs to call the Medicine Man. He spoke first and described every detail of the common experience. Four days later the Medicine Man called us to say that the flesh offerings had dropped off his left arm while he was in the shower. What is offered in the Aluna is taken in this solid three-dimensional reality. A few months after the Journey TUCK found me at Walmart. He threw his arms around my legs and announced, “My neck does not hurt any more.” Mother reported that there had been no episodes of violence after the journey and that his internment in Shodair had been cancelled due to the healing. TUCK was doing extremely well in first grade. His teachers reported that TUCK had a photographic memory and was doing eighth grade math. Mother glowed. Years later TUCK continues to thrive. DOZ literally fell into my arms. Unable to hold his weight I lowered him to the ground. It was apparent from the glassy eyes and pin-point pupils that DOZ had overdosed, again. He was babbling incoherent glossolalia phrases. No way could he afford an ambulance. DOZ was breathing and conscious so the decision was made to transport him to the ER. Shortly after admission his vital signs deteriorated. DOZ was placed on a ventilator and transferred to the ICU. I drove home, crawled into bed beside Bill and fell into a deep sleep. At 3:33 in the morning I awoke from an intense dream knowing that something was very wrong. I woke Bill up. Bill drove us across town breaking every speed limit. “DO IT NOW” voice to page Respiratory Therapy ‘STAT”. When the Respiratory Therapist entered the room and took over the young male nurse just walked away in a daze. Bill drove us home very slowly. We knew that it was imperative that we journey to seek DOZ’s spirit in the Aluna in order to facilitate his wishes on the physical plane. Bill drummed the Shamanic Journey beat as I shape-shifted into hawk form. Being hawk is indescribable in human language to anyone who has not experienced shape-shifting into animal forms. My human body is laying safely on the floor with Bill protecting it as my spirit takes on hawk-ness. Consciousness focuses and blends with the mind of the hawk, seeing through hawk eyes, feeling the wind on my wings and soaring over the landscape seeking BOZ’s energy signature. Hawk soars over a lake, circling, circling. No contact. The “call back” drumbeat sounds and I am pulled back into my human body. Bill and I consoled each other. Neither of us found DOZ’s spirit. I visited DOZ in the ICU for the next three days as often as possible. There was no contact with DOZ in the dream state, so we waited. We have learned that it is all about timing in real time. Major events incubated in implicate form (non-physical matrix) manifest in explicate form (material reality) along specific time- lines that coalesce, sometimes collide, often collapse, but invariably flow in a spiral pattern. In this spiral pattern we circle around again and again to the same energy fields experiencing similar events unfolding. Incarnating into human form we accept the illusion that time is linear and matter is solid. In the Aluna, a multi-dimensional universal, time folds and spirals. Matter is fluid. Archaic laws of Newtonian Physics do not apply in the Quantum Field. On the morning of the fourth day DOZ was weaned off the ventilator and ex-tubated as per protocol. His cognitive function was intact. There were no negative residual physical effects. Everything worked. DOZ was wide awake and waiting impatiently to talk to me. “I had a dream,” DOZ began. “I was in a canoe on this lake and you were a hawk that was flying over me. I saw you circling around and around above me. The canoe was about to go over a waterfall. " “Not Yet!” he stated emphatically. Today I met DOZ again on the street. Miracle of miracles. I have known DOZ for over 12 years. We spent one hour a week together for 10 years. Today was the day. He agreed to attended a Tibetan Singling Bowl group session with his best friend...who also lives in the group home with him. DOZ agreed to a one-on-one session with the Tibetan bowls, agreed to stop the drugs and alcohol and fulfill his mission on earth plane. Very powerful healers, shamans and close friends surrounded DOZ . The Tibetan bowls sang his spirit back into his body. BLESSED BE.
" I can proudly say that I have not touched any drug or drank any alcohol since a month ago this last Blue Moon. I was invited to a singing bowls ceremony and I felt the presence of something more powerful than myself. The next day I did a session with the bowls all around me and two bowls on top of me. I said prayers most of the ceremony and asked for abstinence from all drugs and alcohol. I also had a crystal in my pocket that was programmed with the crystal skulls and it was with me the whole ceremony. Now that crystal has so much positive energy I can only hold it in my hand for a couple minutes."